Airbnb: Airbnb is our favourite way to travel. They are often cheaper than a hotel and with much more space. Perfect if you are a group or family. Use our link and you’ll get £25 FREE towards your next stay! Uber: If you’re looking for a cheap taxi ride, here’s a free £5 voucher off your first ride with Uber. The code is “dominics257” or just click this link. EHIC Card: The EHIC card is 100% free. Never pay a shady third party website to ‘process’ an application for you. The official government website is ehic.org.uk. You need to register, but you can link the whole family’s cards to one account. Ultimate Holiday Checklist: Our HUGE list of everything you need to think about when it comes to packing for your family holiday. Get it here. Family Travel Pocket Companion: Before you go on holiday, download our FREE passport-sized Family Travel Pocket Companion – you won’t believe how much helpful holiday information we’ve crammed onto one page. Print it off and fold it into a passport-sized doc that you can keep with you at all times. TasteCard: TasteCard is giving away FREE 1 month trial memberships. It will give you 50% off at over 7,000 restaurants around the UK. These include many popular restaurants including Pizza Express, Zizzi, Bella Italia, ASK, Cafe Rouge, La Tasca, GBK, Strada and Prezzo. Gourmet Society Card: Gourmet Society is offering a FREE 30 day trial dining card. You can get 2 for 1 meals or 25% off your bill at over 7,000 restaurants in the UK. If you don’t wish to continue your subscription after the trial, don’t forget to cancel. Many popular chains include Prezzo, La Tasca, Cafe Rouge, Strada, Hotel du Vin and Belgo. Free Brochures: Choose from thousands of brochures and get them delivered to your door, for FREE! We still love leafing through brochures as way to get inspired on destinations, as well find great deals. This saves you from carting them home from travel agents. Plus, there is a lot more choice! For example, categories include: UK Short Stay | Adventure Holidays | Family Holidays | Exotic Holidays | Winter Ski. Take a look at the selection! Kids Eat Free: If you’re on the look out for a cheap meal at a restaurant near you, we’ve collected a number of deals and food vouchers where kids eat free! There’s loads of great restaurants to choose from, including Frankie & Benny’s, Harvester where kids eat for £1 and a great choice of Italian restaurants for a cheap meal out with the family. View Kids Eat Free deals. 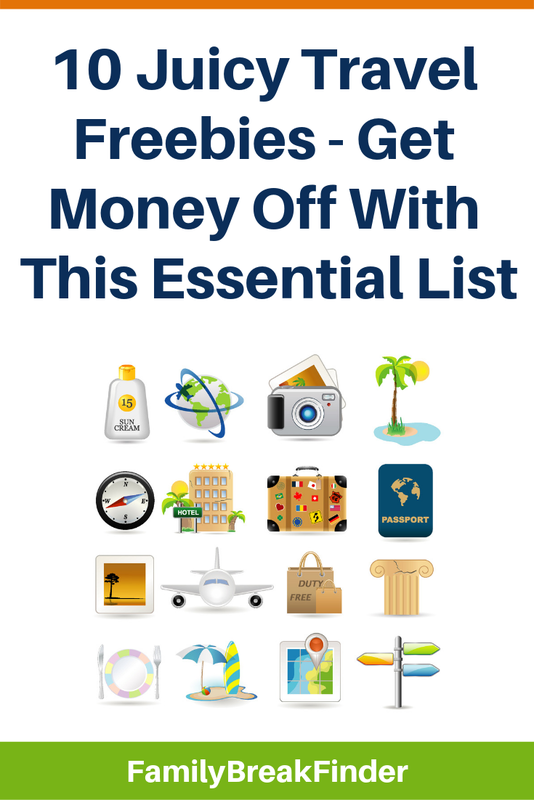 Kids Go Free Holidays: We’ve rounded up the most popular holiday companies offering that all important free kids place! Make booking your next holiday child’s play ? We cover free child places with On The Beach, Jet2holidays, First Choice, loveholidays.com, Thomson and Thomas Cook. Get the details. Want to save money when travelling? Check our our best travel recommendations. These sites can save you hundreds of pounds.